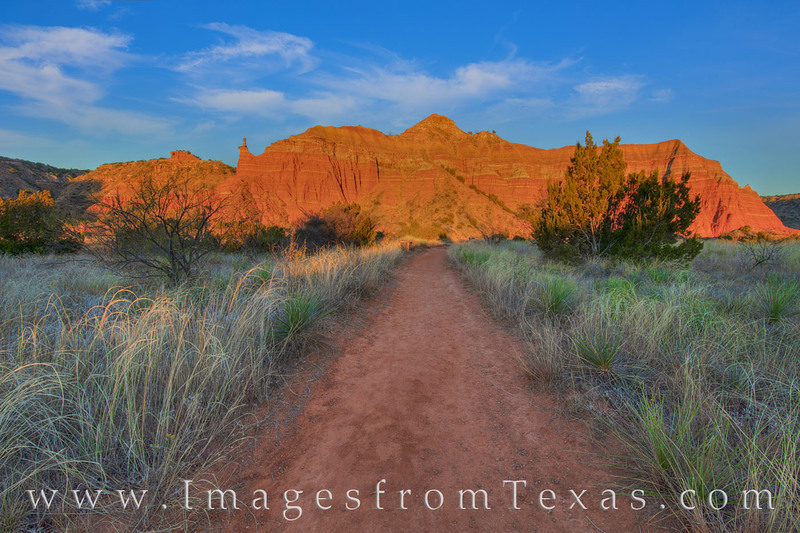 The Lighthouse Trail in Palo Duro Canyon leads through beautiful country in the red rocks and cliffs of this state park near Amarillo, Texas. In this morning photograph taken in winter, Capitol Peak is bathed in morning light, making the rocks seem to glow in an orange hue. Three miles further down the trail, the path leads to the iconic Lighthouse, a rock formation famous in these parts. Photo © copyright by Rob Greebon.